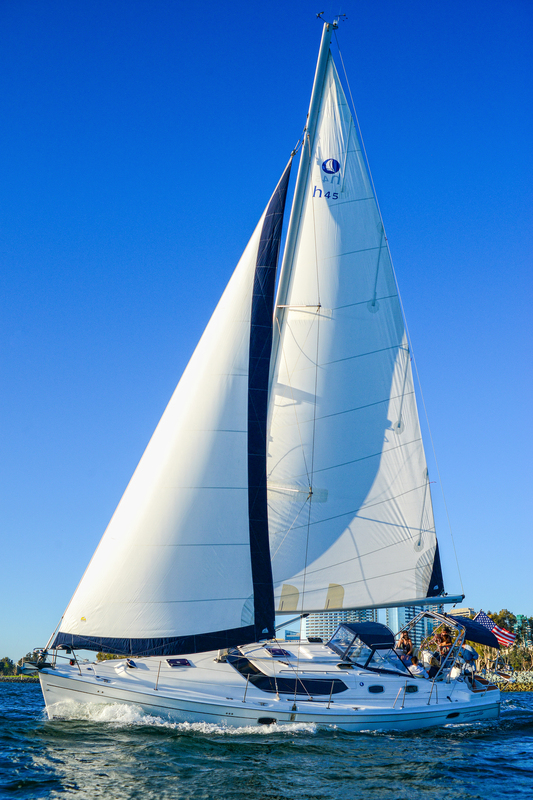 Additional charter options highlights the sailing options available with San Diego Luxury Sailing. The multiple charter options are available year round on an exclusive private charter basis. Discover the magic of the sea and wind aboard one of the last great handcrafted, wooden sailing yachts in San Diego! This classic yacht located in San Diego will transport you back in time to experience the true romance and adventure of the sea. Imagine yourself and your crew sailing effortlessly on San Diego Bay or around Point Loma as you begin your ocean adventure aboard this classic 65 foot, Stephen Brothers Yawl. 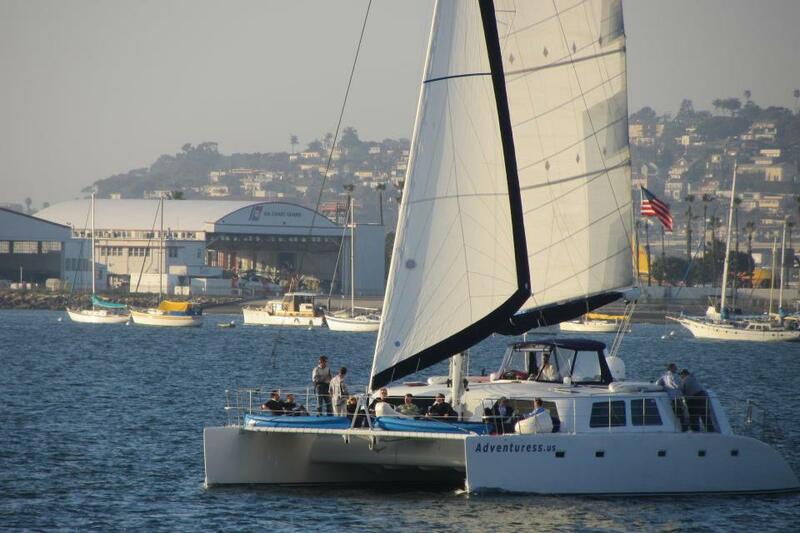 The JADA will provide you a uniquely smooth and enjoyable sail during your next private Sailing Tour in San Diego. The JADA is the solo classic yacht for charter in San Diego for harbor cruises, whale watching, sunset sails, corporate and private events. JADA was built at the Steven’s Brothers Boat Yard in Stockton, CA, in 1938. She spent her first twelve years on Balboa Island in Newport Harbor, where she participated in many ocean races and local regattas. She was also involved in many social events with the Newport Harbor Yacht Club during this time. Frequent celebrity visitors on JADA were Humphrey Bogart, Lauren Bacall, Errol Flynn, John Wayne and Broadway star, John Raitt (father of singer, Bonnie Raitt). More recently in San Diego Tom Cruise, Nicole Kidman and Louis CK enjoyed relaxing with their families, away from the fans. If the walls could talk! JADA was then sold in the early ’50’s and was re-rigged from a schooner configuration to a yawl to be more competitive in ocean racing. After several more owners in the ’60’s and ’70’s, it was reported to have been purchased by actor, Marlon Brando, where he enjoyed her for many years in French Polynesia. From there she was purchased and sailed to Hawaii, and then to the mainland for use as a charter for whale watches and sunset cruises as well as private events so you too can enjoy the luxury and nostalgia of this classic beauty.